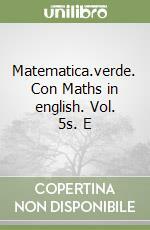 Matematica.verde. Con Maths in english. Vol. 5s. Epsilon.